From the potential of life as a carpenter to one of Barolo’s greats. Sandrone last 15 years making Barolo has been a demonstration of the wisdom accumulated over the previous 35 years! Such intrigue! When you hear of Luciano’s history in the industry the quality of his wines makes sense. Where many Barolista have been born into the industry Luciano’s family were carpenters, making furniture and repairing barrels. He saw something else in his future, wine! With stints at Giacomo Borgogno, Marchesi di Barolo producing over 1 million bottles a year amongst others. He found himself gathering a breadth of experience, and, importantly the respect of many vineyard owners, who would later offer their lands to him. Starting with limited vineyard experience, Luciano, released his first wine from the 1978 vintage, and has since gradually accumulated land holdings across virtually all of the communes in Barolo, and, the Valmaggiore vineyard in the Roero. In the early eighties together with the likes of Domenico Clerico, Roberto Voerzio, Enrico Scavino the Picoli Produttori was formed. In a way a new generation bucking the traditional wines of Barolo. Reflecting on this I see great similarities to part of Burgundy where young winemakers have taken the reigns and without a doubt the ‘New World’. Why? A fascination with experimentation, using technology, new oak, lead to a dramatic changes in the wines being produced. In Australia, with no restrictions, we saw attempts to wedge 200% new oak into wines, push alcohols to new highs, whilst making wines so technically correct they were often devoid of personality. Similarly in Barolo, new oak barriques, stainless steel fermenters of all shapes and sizes, and, technologies that had not been used before were all introduced. From a winemaking perspective, experimenting with these often requires going all in! Once a wine is in a new barrel it’s in! When you spend $100’s of thousands if not millions on equipment, you have to use it. You get to experiment once a year, then the full results of your experiment will only be know 10-15 years later after the wine has been bottled and allowed to age to a reasonable maturity. Just like we are seeing balanced, fresh vibrant Chardonnay in Australia today after years of ‘Dolly Parton’ wines. The new wave of Barolista have over the years continued to refine their wines. Perhaps, their advantage, being an established base of old vines to work with. Giving them the depth of fruit and sophistication of tannin only possible from an old vine. Today, most are reducing the amount of new oak they are using and bring back the large 1,100 to 5,500 litre Oak Botti of the past which help the wines remain fresher whilst aging and impart little oak character. The earlier wines I tasted from many of these producers were out of balance. Perhaps the turning point came in the early 2000’s with many well on the way to making wines that are now much more an expression of their fruit than an oak tree! Bartolo Mascarello would indeed be happy to see this! “Le Garagiste”. Our story started in the 70s in our Family garage and since then it’s been brought forward with heart, commitment and much presence of mind. From the simple things, Sandrone’s philosophy was born. Today as much as yesterday, but with stronger and solid roots, we keep on doing our work well. The suave, seamless texture, fine tannins and depth of flavour of these Barolos makes them some of the most sought-after wines of the region. With age, they are so polished, so pure, so seductive. Sandrone uses 500lt barrels (typically only 10% – 20% new), picks at very low yields and bottles his wines before they lose their freshness or purity. His wines are wonderfully intense and vibrant with ripe, fine tannins. They drink well young and age brilliantly. Like most of the greatest producers he takes the best of the old school and incorporates the best of the new. The wines are bright and beautifully sophisticated which we suppose is up to date, but many of the methods are essentially old school: organic viticulture (is that modern or traditional? ), open-top fermentation tanks, elongated skin contact, natural yeast fermentation, no barriques and no additions, bottling without filtration, and so on. 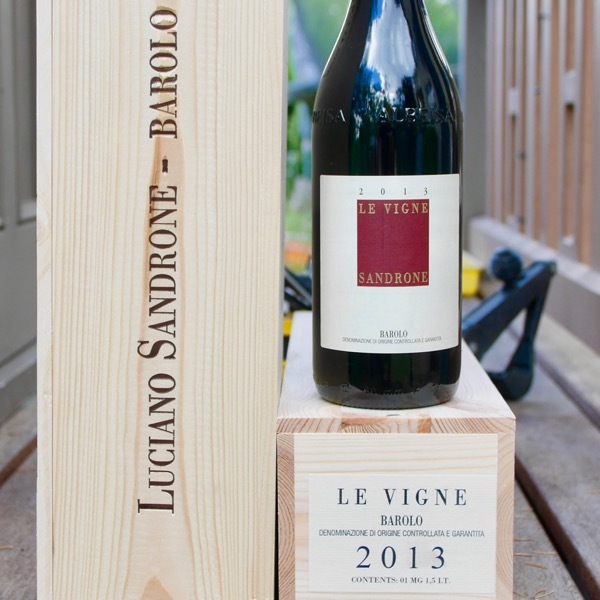 Of course what is most important is that irrespective of fashion or style, Luciano Sandrone crafts wines of profound integrity, purity and deep expression. These are wines made with passion and honesty. They provide great drinking pleasure both when young and with bottle age. 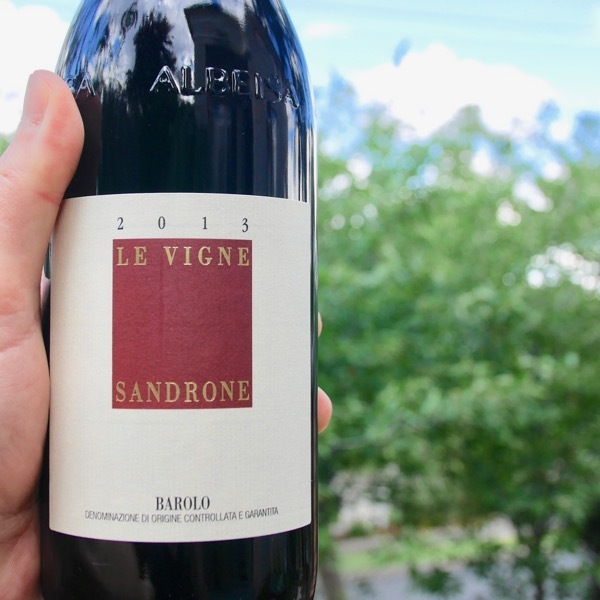 As a fastidious and naturally talented vigneron, Sandrone’s obligation to keep the unique signature of the terroirs alive is vividly captured in the wonderfully intense wines. Located in Barolo, in the heart of the Langa area, Sandrone plantings are spread across three communes in Barolo with Cannubi Boschis and Vignane in Barolo, Merli in Novello, Villero in Castiglione Falletto and Baudana in Serralunga d’Alba. The slopes are hostile, the soil is rich in structure but poor in substance and the sun is slower to set. Beyond Barolo Sandrone has an outpost in the Roero Hills, approximately twenty kilometers from Barolo. At the beginning of the 90s, they discovered a beautiful steep terrain in Roero, with a softer structure; a cradle for the vine, a natural amphitheater so steep that the sun is able to warm it up also in winter, when it rotates lower on the horizon. This is Valmaggiore, where they have planted our Nebbiolo vines following the lineaments of the soil, respecting the orientation of the hill, looking for the perfect harmony with the territory. What immediately struck me for a vineyard of this size, a permanent staff of 12 is employed. Having worked full hands on vineyards this is a ratio of staff to land near 50% higher than most, and, a clear indication of just how much work goes into the vineyard. 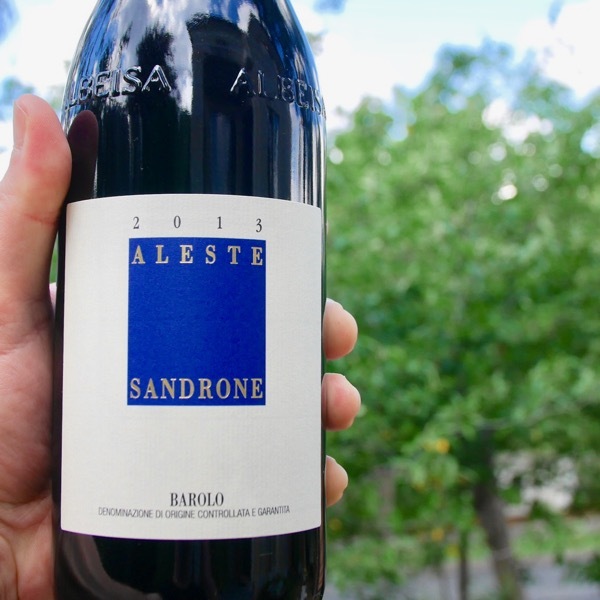 Sandrone’s three Nebbiolo’s represent quite distinct philosophies and sites. 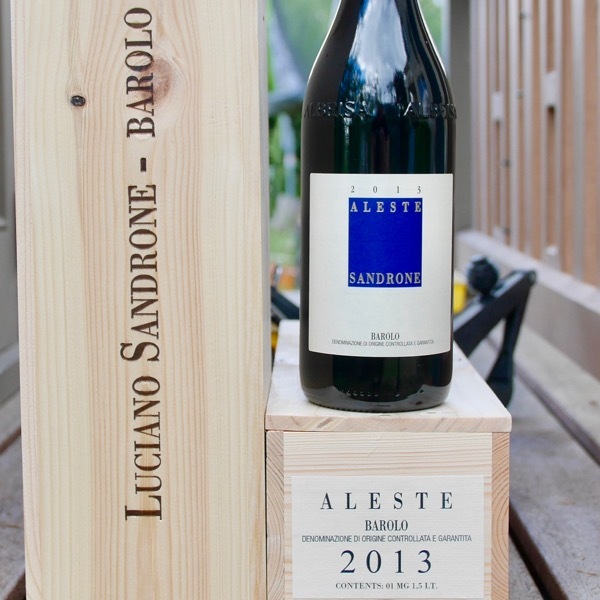 The single vineyard ‘Valmaggiore’ from the Roero just north of Barolo region makes a wine that is at one extreme of Nebbiolo, elegant and feminine, Pinot-esque, whilst the Barolo’s, the multi-site ‘Le Vigne’ and Cru ‘Aleste’ previously named Cannubi Boschis rest at the other, bold, proud, yet with a sophistication and restraint that yields great poise and intrigue. Historically Barolo, was just Barolo, it didn’t matter where it came from, a blend was made and a single wine released. Bartolo Mascarello the most well known proponent of this approach through all the evolutions that Barolo has seen over recent decades. In recent times, single vineyard wines, known as Cru’s, have become the norm. This is no different to the wine 1er Cru’s of Burgundy that often ended up in the village wines. The interesting point for Sandrone of the two Barolo they have one sitting in each camp. The belief that the blend, delivers a wine that is better than the sum of its parts, and, for the Cru wine that a true, pure expression of the vineyard, the terroir will be poured into your glass. At the end of the day. We’re not in the position to argue the toss, as we don’t have the components of the blend to try over time, nor do we have a blended version of the Cru. It makes for an intriguing comparison with winemaking in Australia. Some of Australia’s greats have based their wines on blending within a region, across regions and even states. Others have made their name on single vineyard wines. What remains constant is both, blended and single vineyard approaches, have produced outstanding wines. From Sandrone we had the wines in the glass. Yesterday Barbara Sandrone shared ‘Valmaggiore’ from 2015 and 2011. ‘Le Vigne’ from 2013, 2007, 2004 and 2001. ‘Aleste’ from 2013, 2007, 2006 and 2001. Sandrone’s wines stand proud no matter the region, or, whether the wine was blended or single source! Read more about them in the reviews on the individual wine pages. To put this in context. I’ve drunk an incredible amount of Barolo and Barbaresco. Just last month I’ve devoured 12 vintages of Giacomo Conterno’s Cascina Francia, 11 Cru Wine from Produttori Barbaresco, 3 from Domenico Clerico, 12 Cappellano’s both Pei Francesca and Rupestris, Monprivato, Gaja Barbaresco, Aldo Conterno’s Romirasco, Vietti’s Castiglione, and, several of Paolo Scavino’s Cru’s. Below is a cast of Barbara talking through the current releases and a number of back vintages of Sandrones wines. We spent half an hour chatting after the masterclass. She’s a wonderfully down to earth, passionate woman, who truly believes she’s lucky to share the experience of working the land with her family. Like a Rock Star the name has changed from 'Cannubi Boschis' to 'Aleste' Whatever it's called there is no doubting it will have Neb-Heads spinning with Joy! Bugger! The investors are onto it! The 2008 was the most traded wine on Liv-Ex in November 2017!